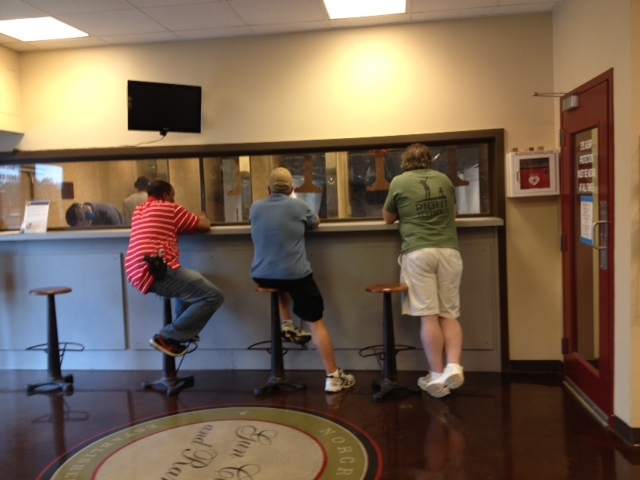 Range fees are for the day not by the hour and are per person not per lane. Ladies Day: Every Thursday. Ladies range time is half price or FREE with the purchase of a box of ammunition! 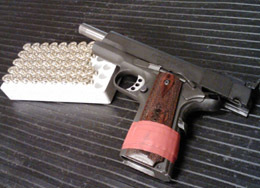 Various targets are available including; IDPA, USPSA & LE. Prices range from $.75 to $2.00. * Pricing is based on availability and manufacturer. We allow anything below 50BMG; Buckshot and slug only for shotguns; No steel core (armor piercing), incendiary, or tracer rounds allowed; Please call ahead on larger calibers as they may require special lane assignment. Don’t own a firearm? No problem. We have a large selection of firearms for rent. All firearm rentals are a flat fee and you may exchange them as many times as you would like for a different model or caliber at no additional charge. Here is the full list of Firearms For Rent *subject to change. 1. Valid pictured identification is required to enter the range. 4. Persons under 21 must be accompanied by a parent at all times. obeyed immediately and without question. 7. Cross firing of targets is prohibited. authorized or instructed to do so by the Range Master. with the actions open and the magazine removed. open and you have visually checked that it is unloaded. 11. Load and unload weapons and magazines inside of the booth only. 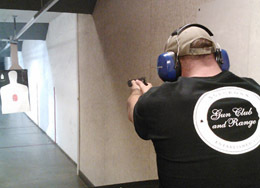 13.No holster or quick draw shooting allowed on the range. 14.Always keep your finger off the trigger until you are ready to fire. safe direction. Treat every firearm as if it were loaded, check and recheck. 17.Tracer, incendiary, armor piercing, and steel core ammunition are prohibited. firearms or ammunition for safety considerations. 22.Expecting Mothers are not permitted on the range at anytime. 23.Always wash your hands and face after shooting. The last shooter is taken one hour before close. 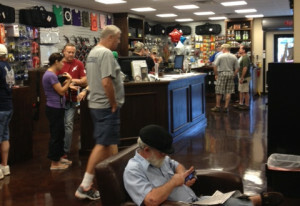 Become a Member of the Norcross Gun Club and Range! We offer several different membership options including Individual, Family, Corporate, and Dual with our sister range; Sandy Springs Gun Club and Range. Click the link below for additional details and pricing.